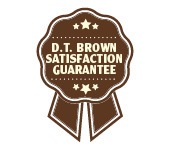 Vegetable plants delivered direct by D.T.Brown seeds. Vegetable plants are the perfect choice if you don’t have the time or facilities to grow lots of different varieties from seed. They are also useful for replacing plants lost to the weather or pests and diseases. Artichoke, bean, celery and sweetcorn seedlings are intolerant of frost. In mild areas they can be planted out immediately but it is advisable to keep some fleece handy just in case there are still any chilly nights. In colder areas it is best to first plant them in a tray of compost and keep indoors until all risk of frost has passed. After finally planting those out we again recommend covering with fleece if cold nights are forecasted. To protect your young plants from slugs, apply Nemaslug to your ground several weeks before the expected delivery date. If you want to grow our brassica plants in land where club root has been a problem, grow on them on in 9cm pots first. When they’re ready for planting, dig out a hole approx. 30cm/12in deep and square and fill it with Premium Compost and plant them in the compost.